BRYAN EATON/Staff photo. It may be bitter cold outside, but in the kitchen at the Boys and Girls Club in Salisbury it's warm and aromatic as one of the activities is baking cookies every day this week. 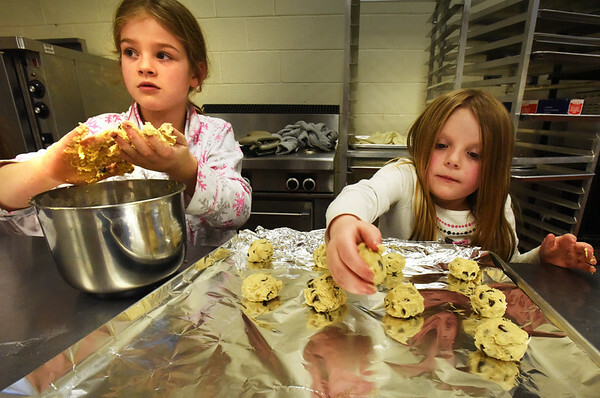 Mixing up a batch of chocolate chip cookies is Star Mispilkin, 8, left of Newburyport and Viveah Currier, 6, of Salisbury.